WHAT GUARANTEES THE BEST FLAVORED COFFEE AVAILABLE ANYWHERE? Flavored coffee finishes with the most tantalizing high-quality flavorings available! you know, where the Hazelnut or Southern Pecan ever so delicately permeates a great aromatic cup of coffee? Where a touch of cream and honey transforms the flavor of choice into a hot and creamy version of flavored coffee Haagen-Dazs? Did you ever wonder what constitutes a great dessert coffee and how this amazing coffee is created? Well, just let me tell you.... well, O.K., it isn't rocket science. Actually the "hands on method" is pretty darn simple, but like all the best of things, and similarly conveyed by the rest of this site, several key factors must be in place to have the heavenly experience described above. 1. These coffees begin with...big surprise, the best green mountain-grown coffee available, BUT, it must be a mild coffee such as Brazilian or Mexican. 2. The coffee must be brought to a nice medium roast, not too light or it will be a bit grassy and acidic, not too dark or it will become too powerful and eclipse the flavoring of choice. 3. Then, while still warm to the touch, the coffee beans are transferred to a sterile plastic container where the highest quality flavoring is poured evenly over the beans. 4. Then its shake and bake! The coffee beans are shaken vigorously until thoroughly coated. Because the beans are still warm, they soak up every delectable ounce of flavoring. O.K. So like I said, it's not high tech, but after a number of different flavoring methods I have experimented with over the years, this produces the finest tasting coffee imaginable. After all, its more or less "home made" with old-fashioned loving attention to quality. Now, assuming proper brewing, those scrumptious flavors will blend beautifully with the delicate aromatic quality of a mild high-grown coffee and, well, there you have it! You have arrived... at Flavored Coffee Nirvana! Now, if you haven't yet experienced dessert coffees and are just indulging your curiosity, after (hopefully) having read other pages of interest in this site, I would have to say that as a coffee snob in training, you would certainly be well advised to explore this delicious and rewarding category! A sweet, creamy, chocolate treat with delicate fruity overtones, reminiscent of the German Countryside. Enjoy! Try this sweet, creamy, caramel treat with fruity overtones, reminiscent of the German countryside. It's practically a dessert in a cup! A mild, sweet and chocolaty coffee that features the distinct flavor of Macadamia Nuts. This coffee is a delicious treat anytime. This awesome coffee features delicious, deep chocolate, highlighted with a delicate touch of raspberry. It makes a perfectly scrumptious after-dinner treat, a true dessert-in-a-cup! Two traditional flavors unite to create a spicy, creamy cup that is delicious all year long, but especially nice during the holidays! Features the soft, warm, traditional flavor of butterscotch. Sit down with a cup and let the flavor envelop you! This is a dessert-in-a-cup treat, especially pleasing after-dinner. Features the soft, soothing, yummy flavor of vanilla. Makes a delicious cup after dinner or a great pick-me-up treat before a busy day. The sweet, buttery flavor of hazelnuts makes this best-selling coffee an exceptional taste-treat for any occasion; creamy and drinkable all day long. Smooth buttery flavors, spice, and a touch of Scottish brandy highlight this house-favorite flavored coffee. This is one of our most popular flavored coffees. Recalling a taste of Baileys, Irish Crème makes a truly wonderful after-dinner selection. A delectable infusion of sugar and cinnamon into our own wonderful, mild, high-grown Brazilian. Try one of our best-selling, house made "cookies in a cup"! Enjoy the traditional flavor of Pecans coupled with an outstanding mild, mountain- grown coffee from Brazil. Southern Pecan continues to be a favorite among dessert coffee lovers. You will be absolutely amazed at the aroma, flavor, and body of your fresh roasted hand-flavored coffee selections. You also have our no strings attached, no questions asked guarantee that it will be the very best or at least among the very best coffee that you have ever experienced or you get every penny back including shipping! You don't risk a dime. And don't even bother returning the coffee! Consider it a gift for giving us a try. No, it's just that we know what we have. 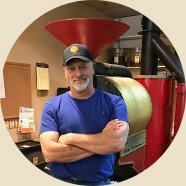 Lakota Coffee Company’s fresh roasted selections are in keeping with all of the exacting standards discussed in this site and we would sincerely like to share our experience of "Flavored Coffee Nirvana" with you! Just click below on Lakota Home to place your order! Thanks and Enjoy! LAKOTA HOME: Seriously Scrumptious Flavored Coffee Selections! OR back to Specialty Coffee Advisor's HOME PAGE!